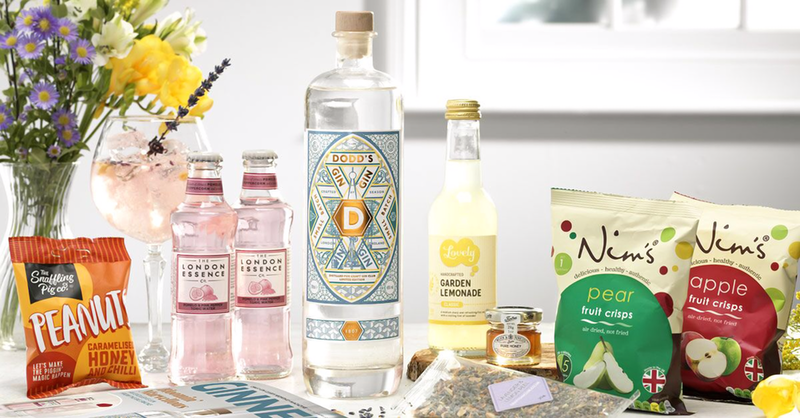 Craft Gin Club's April box! We handcraft an award-winning range of decidedly delicious premium soft drinks. Below, you’ll find our labours of love - (a handsome bunch if we do say so!) handcrafted by our small team here in Bristol. A medium sweet luscious fizz with the scent of an English summer. Made with no artificial colours, flavourings or sweeteners. A medium dry and aromatic floral fizz made with handpicked petals of wild elderflowers. Made with no artificial colours, flavourings or sweeteners. A medium hot and full bodied fizz made with fresh ginger root and lime juice. Made with no artificial colours, flavourings or sweeteners. A medium sharp, fruity fizz made with zesty lemons and English raspberries. Made with no artificial colours, flavourings or sweeteners. A natural zesty twist on the classic soda made with hand blended spices and botanicals. Made with no artificial colours, flavourings or sweeteners. A flavoursome fruity cola made with pressed sour cherries, cinnamon and other spices. Made with no artificial colours, flavourings or sweeteners. Our version of an old-fashioned favourite, made only with natural ingredients. Made with no artificial colours, flavourings or sweeteners. 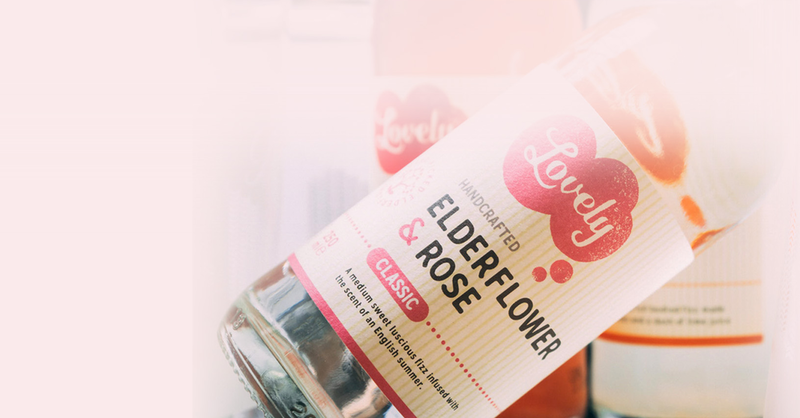 We seek out the very best ingredients to make our award-winning range - including handpicked elderflowers, whole lemons and pressed English fruits and flowers. As we like to keep things natural we steer well clear of nasties such as preservatives and concentrates and use no artificial sweeteners, colourings or flavourings. We have won many awards for our drinks, including 20 Great Taste Awards, several Taste of the West awards, two Bath Good Food Awards and two Bristol Good Food Awards. We have also been shortlisted for the BBC Food & Farming Awards. Lovely Drinks began as a passion project when we started making elderflower pressé with the blossoms in our garden and nearby hedgerows. Friends and family kept remarking on how ‘lovely’ it was - and so the seeds of our business were sown. We always welcome the opportunity to sell more Lovely Drinks! Our sparkling pressés go down a treat in high-end cafes, restaurants and delis. They are also ideal for bars and pubs where customers want a non-alcoholic refresher on a par with a craft beer or a decent glass of wine. We’re strongest in the South West and Midlands but can now supply to most areas of the UK. We sometimes supply direct and we’re also listed with several premium wholesalers across the UK. giving us (almost) national distribution. We can put you in touch with the most suitable supplier for you. If you would like to stock our range, sample our wares, make a wholesaler enquiry or have a chat about anything Lovely-related then give us a bell on 01275 463229 or drop us a line via the Contact Page. Lovely Drinks are supplied in cases of 24 x 250ml glass screw top bottles. The drinks have a 18 month shelf life (they are pasteurized as we do not use preservatives) and can be stored ambiently. We are listed with several premium wholesalers across the UK, giving us national distribution. We can supply ‘point of sale’ bits and bobs such as beer mats, table talkers and posters. We’re also happy to come along and do sample tastings. Our quintessentially English drinks are available for export! We currently have several customers across the EU. Please contact us on +44 (0)1275 463229 or use our Contact Page if you would like our export proposition and pricing. 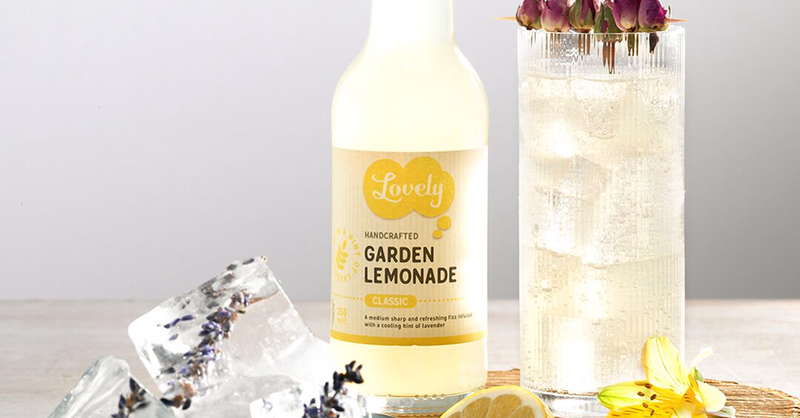 Tag your photos on instagram with #lovelydrinks for the chance to be featured in our edit! Join our mailing list to get exclusive news about new products, special offers and have the chance of winning lots of Lovely stuff!